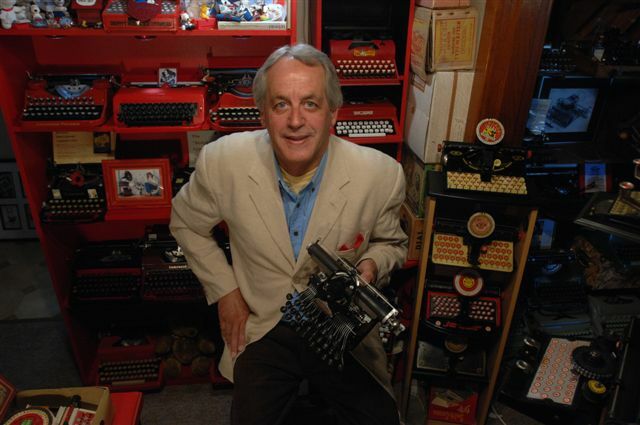 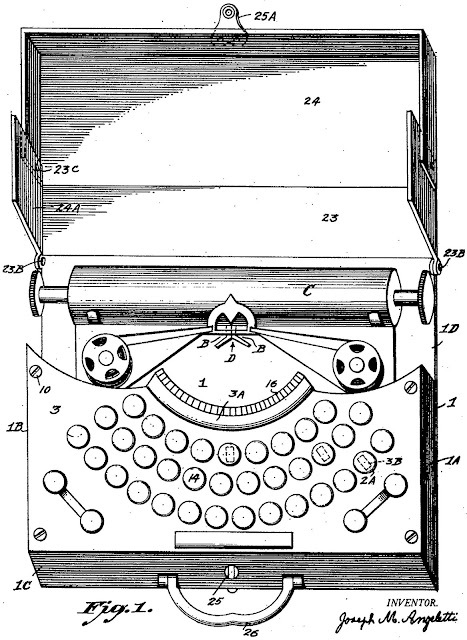 On this day (December 14) in 1925, a young Italian-born New York writer and composer called Joseph Marco Angeletti applied for a patent for a very compact little frontstrike typewriter employing vertically-actuated L-shaped typebars. The case was to be part of the machine. 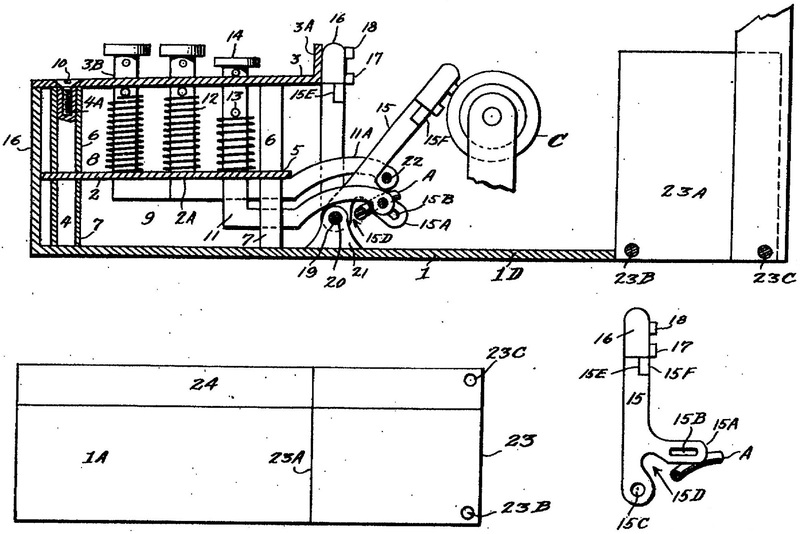 Angeletti was born in Tivoli on April 24, 1889, and settled in the US in 1913. 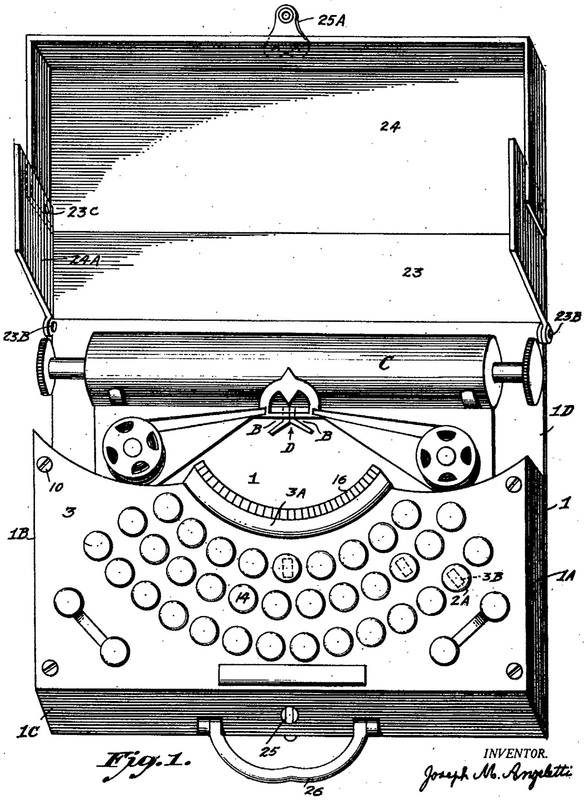 The curved keyboard is very unusual for the 1920s.